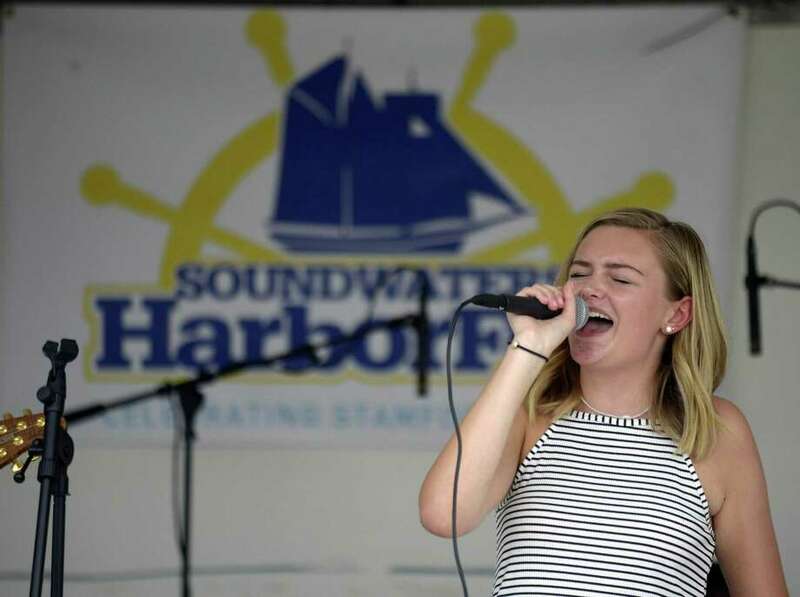 Perrin Trask of Darien, performs with other School of Rock New Canaan students during the third annual SoundWaters Harborfest on Aug. 25 in Stamford. James M. Garnett Jr. has joined the Bankwell Financial Group board of directors. “Jim’s vast experience across all areas of the financial services industry, including regulatory issues and the oversight of enterprise risk, bring broad insight and valuable expertise to the bank’s board,” Bankwell president and CEO Christopher R. Gruseke said. Garnett retired in 2016 after 18 years as a managing director of Citigroup. He spent 15 years as global head of Risk Architecture, which included oversight of credit, market, liquidity and operational risks across all of Citigroup’s businesses and geographies. In addition, he served as the chief risk officer for Citigroup’s treasury, country risk and operational risk. Garnett joined Citigroup in 1998 as chief risk officer of Citicorp’s institutional bank and trading businesses. From 1982 to 1997, he worked for the Chase Manhattan Corp. and held a variety of roles, including head of Global Risk Management, head of North America derivatives trading and treasurer of the parent company. A resident of Darien, Garnett is a trustee of South Kent School; was a director of the Corporation Service Co. and the International Swap Dealers Association and a trustee of the College of the Atlantic. The Darien Chamber of Commerce is inviting local business owners to a presentation on Sept. 5 from 8:30 to 9:15 a.m. at Darien Town Hall, Room 206. Tax assessor Anthony J. Homicki will discuss specifics of the state-mandated Oct. 1 property revaluation process. The presentation is free. The town of Darien is mandated by the state to re-evaluate all real property every five years. The purpose is to ensure uniformity in real property valuations (fair market value) by eliminating inequities that have developed since the last revaluation due to changing market conditions. The revaluation will be important to all business owners in Darien, not just the commercial property owners. For information on the chamber and its events, go to darienctchamber.com. Area residents will find out why more than 60 million people all around the world have fallen in love with the characters, the story and the music that make “Mamma Mia!” the ultimate feel-good musical, when it opens in Curtain Call’s Kweskin Theatre in Stamford on Sept. 14. “I am thrilled to be the first theater in the area to present this enchanting tale of love, laughter and friendship,” said Lou Ursone, Curtain Call’s executive director and “Mamma Mia!” producer. A preview performance of “Mamma Mia!” on Sept. 13 will include a preshow party featuring food from Nikki Glekas Events, wine, beer and a signature cocktail. After the show, audience members can meet the cast and crew and enjoy desserts courtesy of DiMare Pastry shop. Tickets for the fundraising event are $75. The cast of 28 features many former Curtain Call performers along with many making their debut with the Stamford company. Performances will take place Thursday, Friday and Saturday at 8 p.m. and Sundays at 2 p.m. beginning Sept. 14. The Kweskin Theatre is attThe Sterling Farms Theatre Complex, 1349 Newfield Ave., Stamford. Tickets are $35 for adults, $25 for seniors and $17.50 for children. Thrifty Thursday tickets are $27.50. Call the box office at 203-461-6358, ext. 36, or visit curtaincallinc.com. Curtain Call’s 28th season also includes “The Foreigner,” “Accomplice,” “Elf the Musical,” “A Merry Mulberry Street Musical,” as well as concerts, comedy nights and interactive murder mysteries.